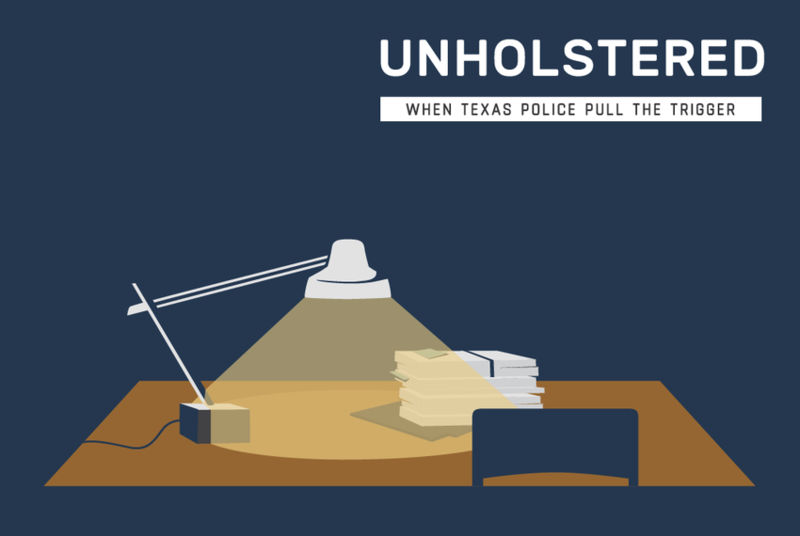 Amid the ongoing and impassioned national debate over recent officer-involved shootings, The Texas Tribune took on a massive open records effort: tracking six years’ worth of police shootings in Texas’ largest cities. 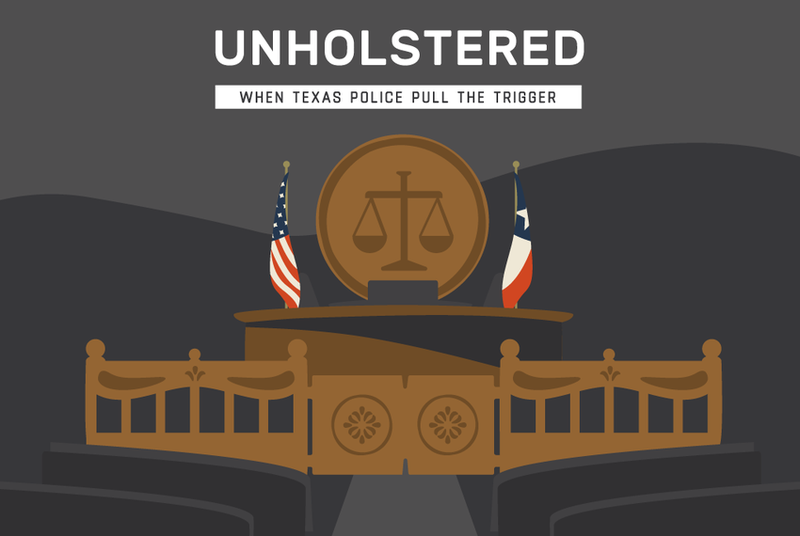 Here's what we found in a nearly yearlong investigation into when and why officers used lethal force in Texas between 2010 and 2015. 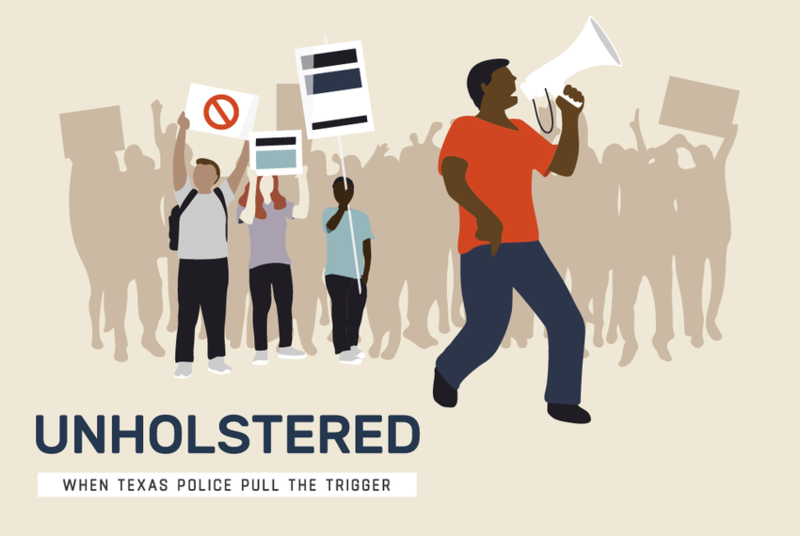 The Texas Tribune spent nearly a year collecting data from the state’s largest cities on every incident in which police officers pulled the trigger between 2010 and 2015. Here's a look at what we found. 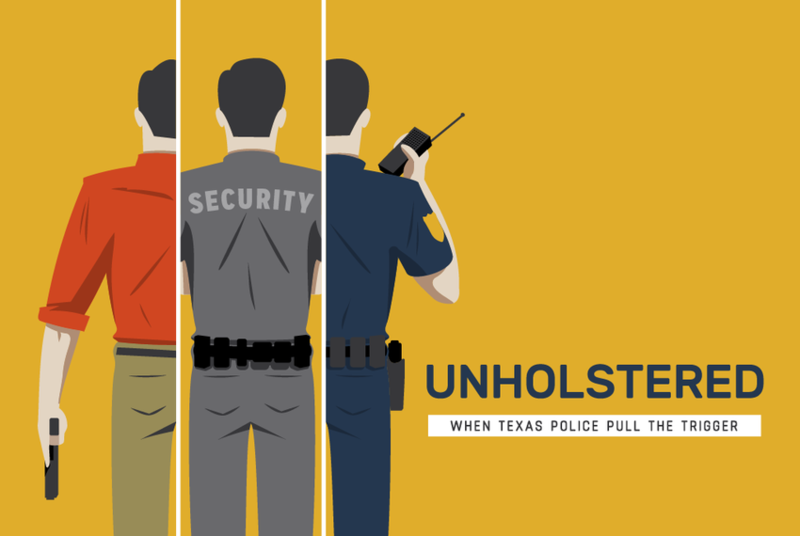 At least 881 officers were involved in police shootings in Texas’ 36 largest cities between 2010 and 2015, according to data compiled by The Texas Tribune. Seven officers have faced criminal charges for pulling the trigger in that period. None have been convicted, so far. 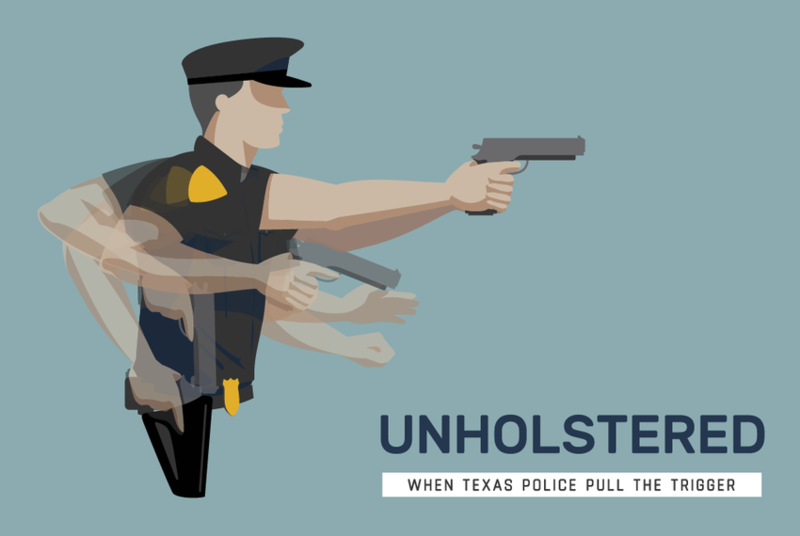 In at least 66 cases — about 10 percent of police shootings in Texas’ largest cities between 2010 and 2015 — the officer pulling the trigger was off duty, according to an analysis of police data obtained by The Texas Tribune. When police shoot a mentally ill person, calls inevitably follow for providing officers more training in how to de-escalate situations and deal with mental health issues. Public outcries over shootings of unarmed people are often especially pronounced, underpinned with the inference that police should seldom find it necessary to unleash lethal force on unarmed civilians. Policymakers and the public have begun to question with renewed fervor whether police shoot at minorities at a disproportionate rate, whether it’s possible to tell how often and what can be done about it. 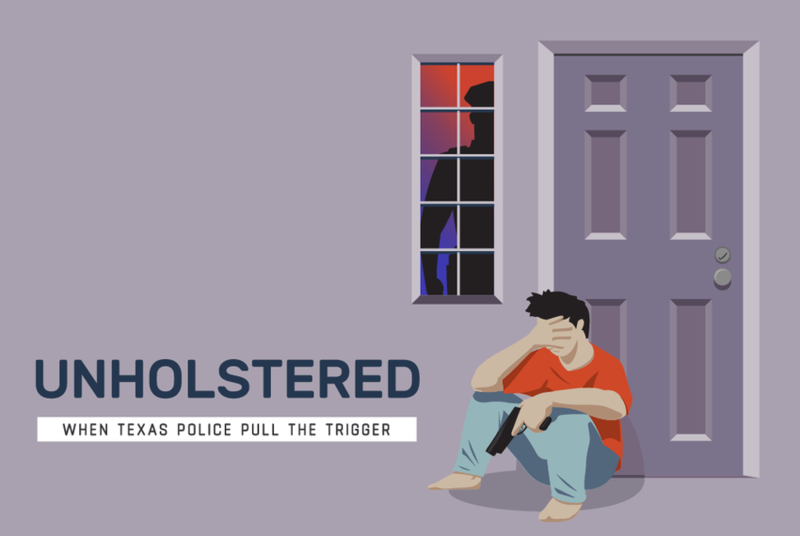 Police officers in Texas unholstered their guns and fired at suspects in at least 656 incidents between 2010 and 2015, but that total is undoubtedly incomplete. 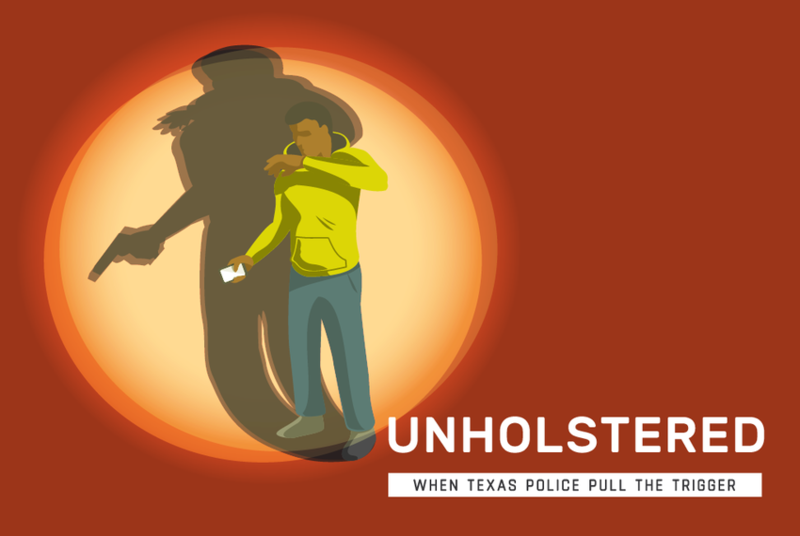 There is so little reliable, consistent information on police shootings in Texas that the public, lawmakers and police officials are largely flying blind.